I had many plans for the Halloween blog edition, but none of them worked out because of the rainy weather. So I figured that it would be better if I moved under a roof for my photo shoots, and a prison roof would do just fine. 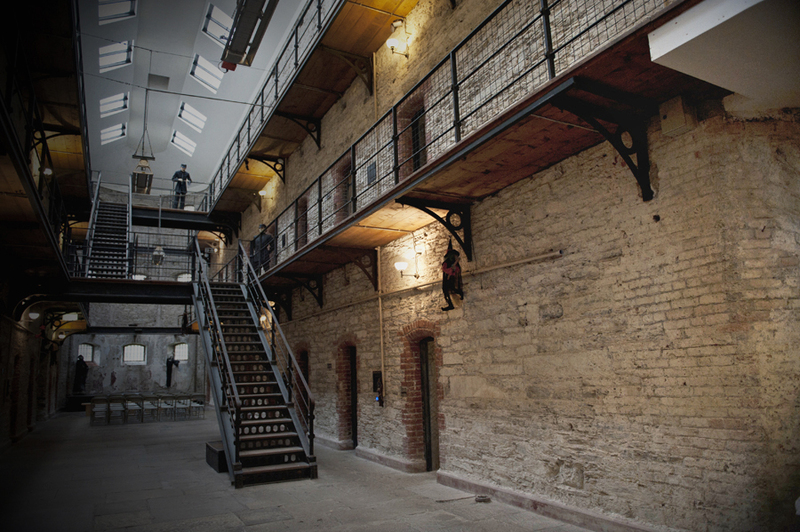 Cork City Gaol housed prisoners for almost a century and was closed in 1924. This is an image of a cell. Like to try? 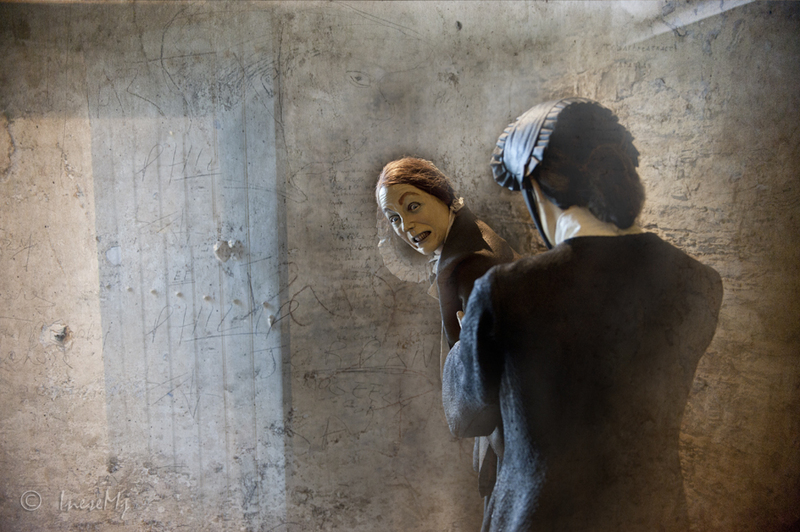 You may get inside and close the door to experience what life might have been like for a prisoner in the Gaol. An Irish writer Frank O’Connor was one of those who served time in the Gaol for their part in the Irish Civil War, and he later wrote that the cots and blankets were crawling with lice. This is Mary Sullivan. She looks like a bloodthirsty murderer, but in fact she is a seamstress and in 1865 she received a seven year sentence following her eighth conviction for the theft of cloth. She is just after being deloused according to prison regulations, and ready to see the Governor John Barry Murphy. This is Thomas Raile. 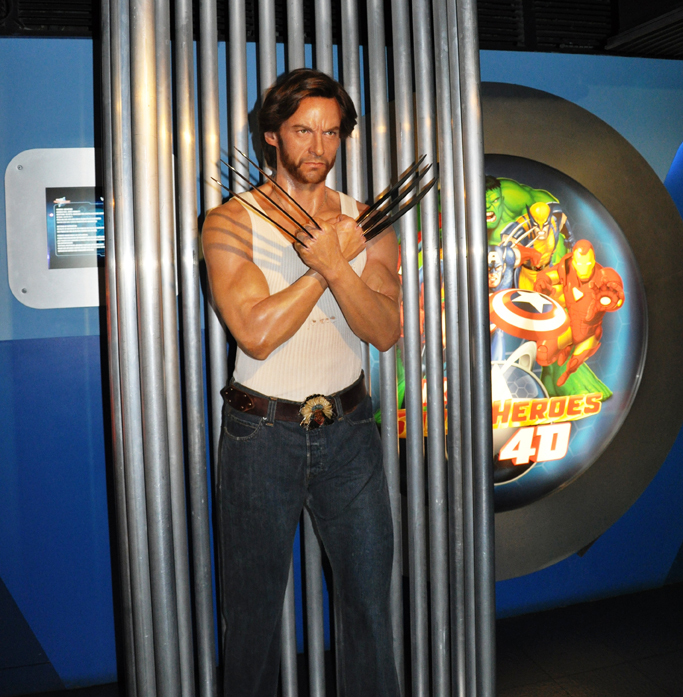 He was convicted of stealing some books. Serving his time in a solitary confinement, he got an opportunity to contemplate his wrongdoings and has turned to religion for guidance. Rev. Nelligan is counselling him, but it won’t help much: on release from prison Thomas won’t be able to get good references and his life will speedily go down the drain. This young woman is Mary Ann Twohig, a 16 year old mother. She was heavily pregnant when she stole a cloth cap and some kitchen utensils with an intention to pawn them and get some money. 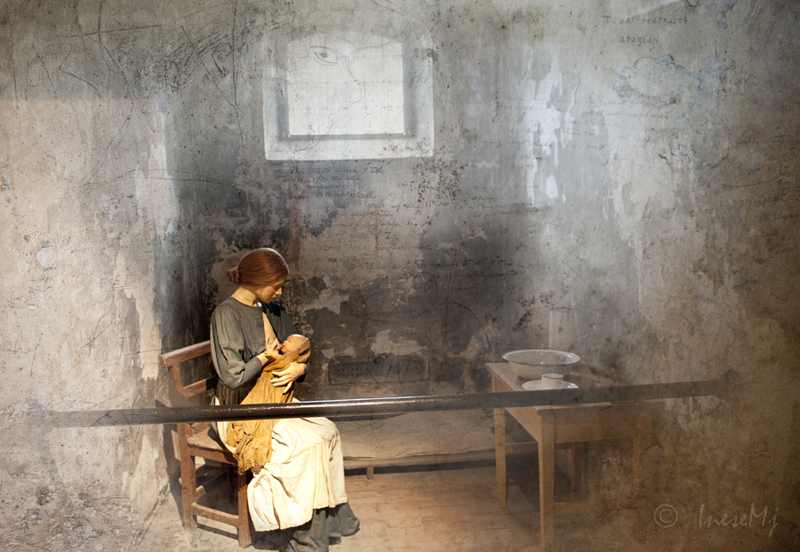 Due to the pregnancy she was sentenced to only two months, without hard labor. This is Dr. Beamish. A warder is walking him to the cell where he is going to attend a sick prisoner. Overworked and underpaid, Dr. Beamish has spent many years carrying his medical bag from cell to cell and fighting all sorts of infections and injuries. 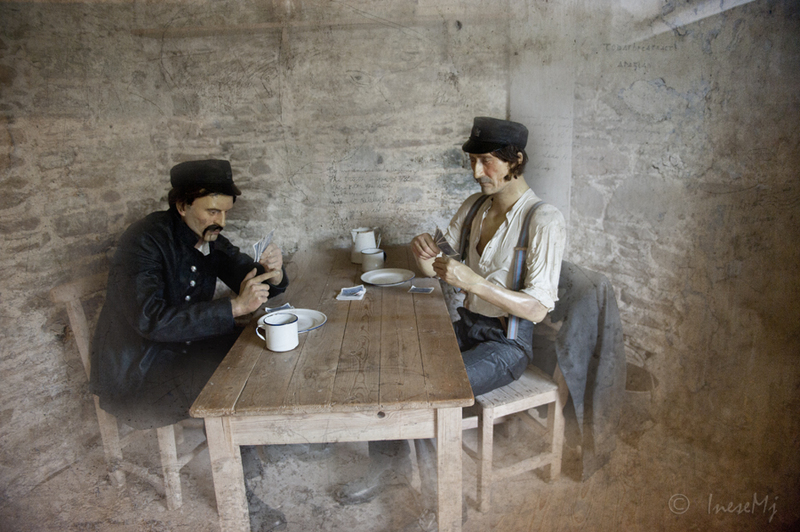 Two off-duty warders are playing cards. In this room lives a warder and his whole family. 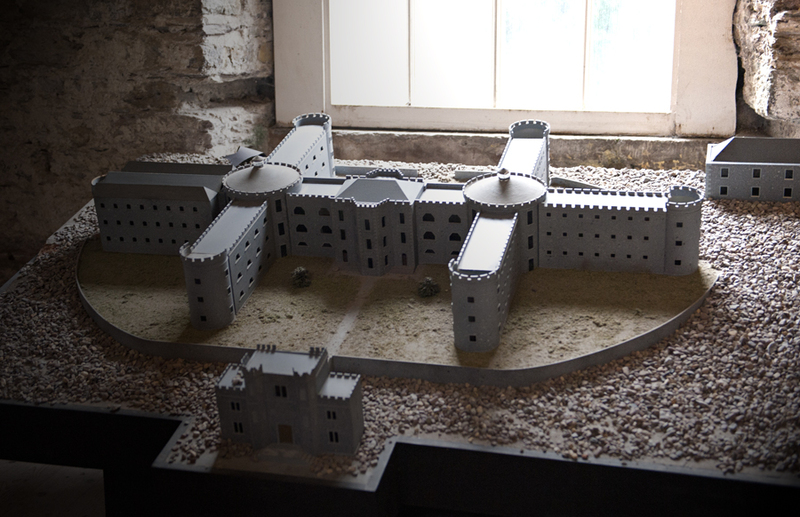 This is a model of the Gaol. The wings are currently in derelict condition and closed to public. You might be interested to know what is that small building at the back. Well, there were always prisoners and prisoners. The small building is the Debtor’s Gaol. 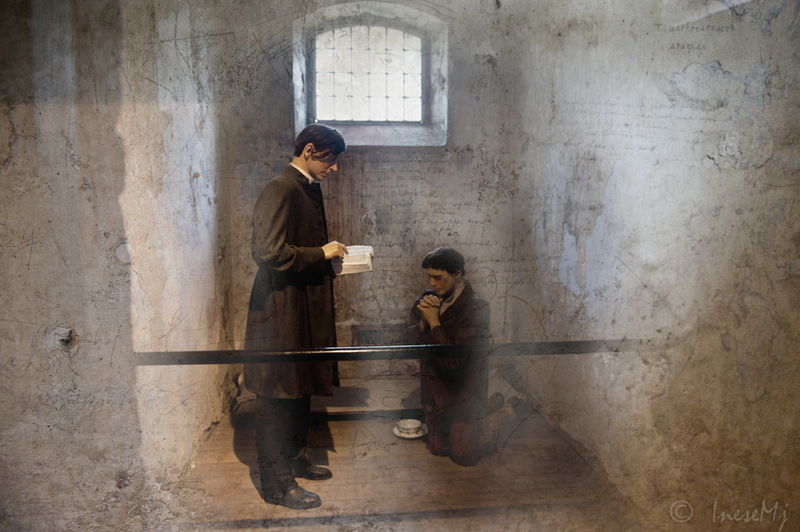 Some well off people fail to pay their debts and are sent to prison, but not to the main Gaol. 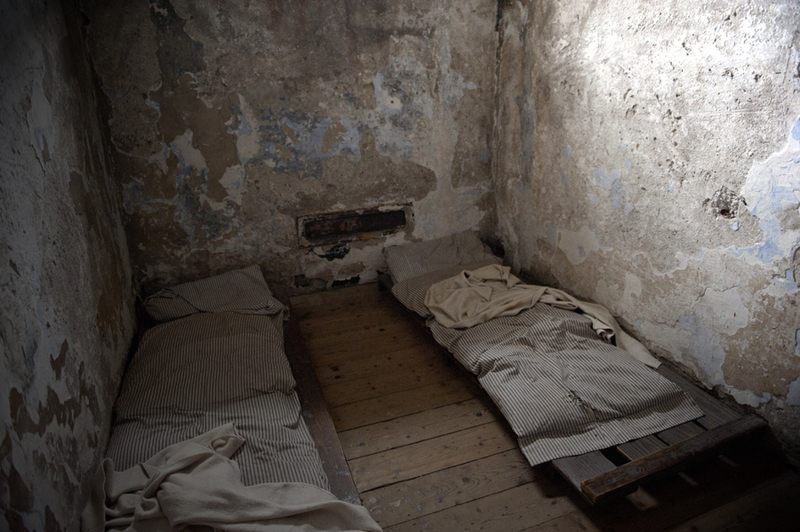 They settle with their own furniture and clothes in the Debtor’s Gaol, and even have their food delivered to them. And here is an appropriate piece of music – Johnny Cash – Folsom Prison Blues! Photography tip of the day: Do a research before you buy a camera or any photography equipment, including the batteries you are going to use for your Speedlite. Everything. 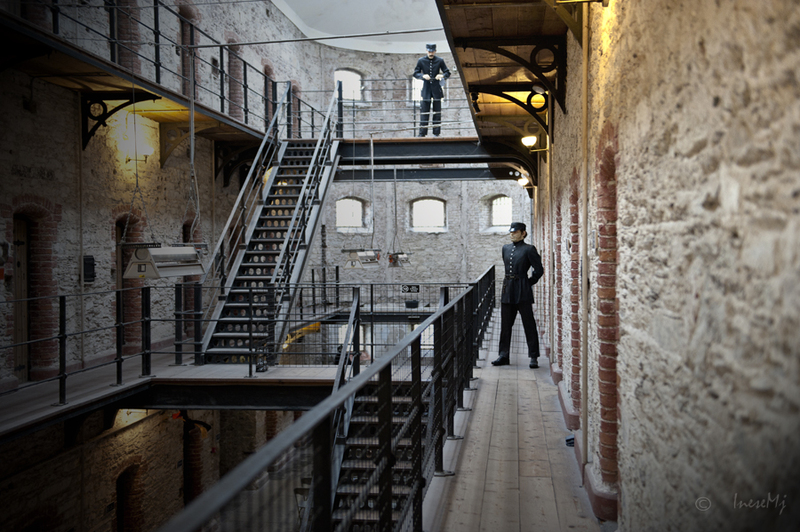 A fascinating photo tour of Cork City Gaol. Very scary though that they used to jail pregnant women and others just for stealing a few bits and bobs. They probably did it because it was either that or starve. It was certainly tough in those days. Thanks for sharing and taking us back in time to Victorian Ireland, Inese. Indeed, that’s a spooky place. Your photos are amazing. It is amazing indeed. Most of the buildings of that era were destroyed – Ireland’s history lies in ruins. 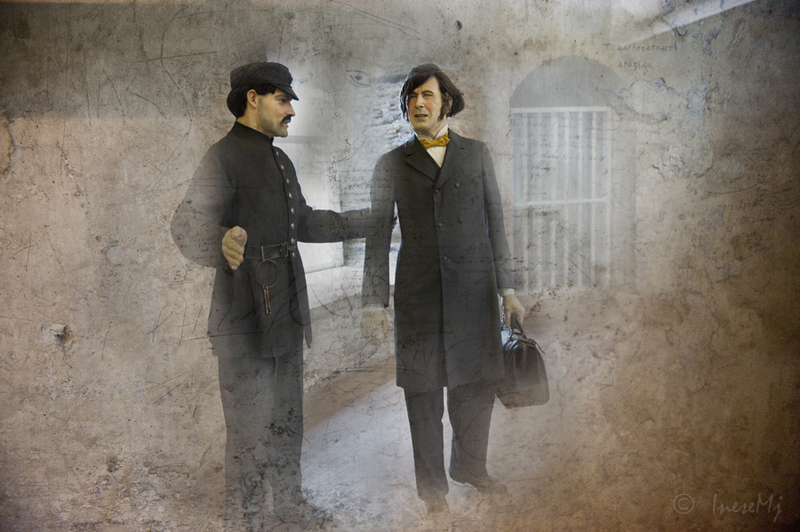 There was nothing but lice-infested cots in the jail, it is why the building survived the times of trouble. Great post for Halloween! Scary stuff! Awesome, Inese. When i was a teen i was intrigued by Johnny Cash. But as an adult, i like him more and more. I hope the sun stays out and you no longer feel a prisoner. 😀 Hugs. By the way, your photos really captured the spooky vibe of the place for me. Hugs. Thank you! 🙂 Ghostly but true. This was fascinating. The shots of the horrible cells was kind of shocking, even if not a surprise. 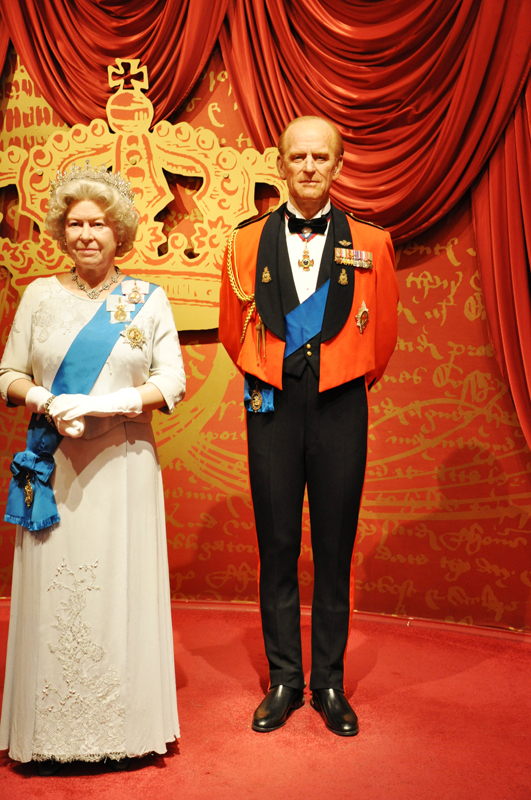 The wax figures are just fun. Thanks. Thank you! I don’t like any figures resembling humans 🙂 Fascinating yet scary. i feel i ought to thank the rainy weather since it ‘forced’ you to present us with this excellent posting..jails are such sad and tragic places..and then there’s the Debtors’ Gaol… with food delivered no less. No justice in the world, huh? Wow…This looks like a fascinating place to visit. Great post. Happy Halloween. Thank you! Happy Halloween to you too:) It was a fun visit. They even have a ghost. I guess it wasn’t fun to serve a sentence there. And to you too 🙂 Thank you for stopping by!